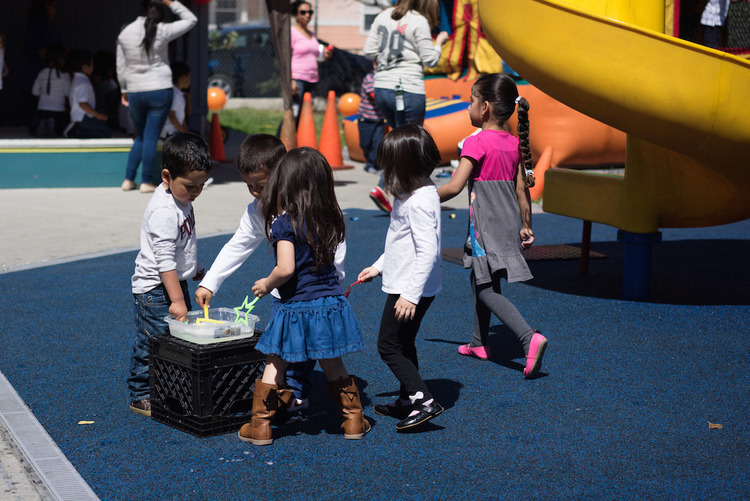 Family Daycare Support Network (FDSN) works to ensure that children from low-income families in Alameda County have access to nutritious food that promotes their health and development. FDSN receives funding from the State of California Department of Education and the United States Department of Agriculture to provide subsidies to child care providers serving children from low income and working poor families. These funds are used to reimburse child care providers for purchasing and preparing meals that meet recommended nutrition standards for young children. In addition to providing this direct funding for healthy meals, FDSN staff routinely visit participating child care providers to offer them one-on-one training and support. FDSN also works to educate family daycare providers on the importance of good nutrition, and publishes a newsletter with healthy eating tips and suggested recipes. 100 family child care providers receive nutrition subsidies, training and support. 950 low-income children in Alameda County receive daily nutritious meals at their child care centers through FDSN. Since FDSN began in 1995, over $11,000,000 has been distributed for nutrition subsidies for low-income children in Alameda County. 1,854 snacks and meals are served per day and 480,237 snacks and meals are served per year.